The famous “bottle house” is located a bit outside of Pyramiden to the west, in Mimerdalen. It is safe to assume that it has seen many memorable events during the years, from cosy evenings to wild parties. Already the construction period or, rather, material procurement must have been hard work 🙂 as the name suggests, the bottle house was made of bottles, they say that the bottles amount to an impressive 5308! The bottle house was built in 1983. 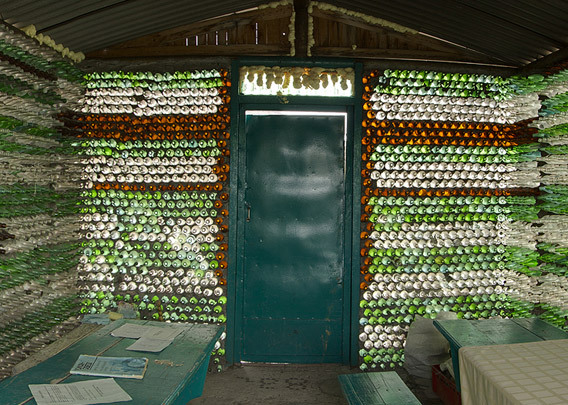 As many other buildings in Pyramiden today, the bottle house is usually locked. The famous “bottle house” just outside of Pyramiden.